Pro Comp leaf springs are perfect to replace worn factory springs or just to give your truck an upgrade. Diamond cut multi-leaf springs Pro Comp 13711 provide additional clearance and improved ride quality. They have been built to fit the Rear of your Chevy/GMC and will give you an extra 5″-5.5″ of lift in order to preserve optimal ride quality. With a design that ensures it functions with your truck suspension geometry, the Pro Comp Leaf Springs seamlessly maintain the factory quality ride of your vehicle. There is no need for drilling, cutting, welding or any modifications whatsoever. Likewise, the installation process is quite straightforward and can be completed in about an hour. 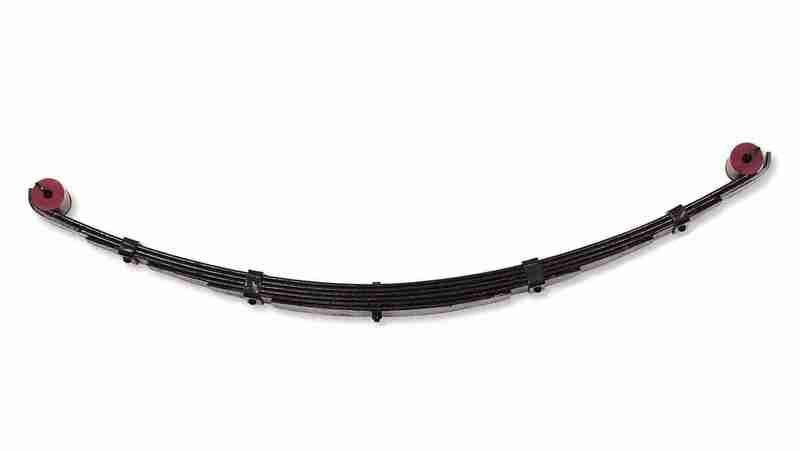 Enjoy the Pro Comp warranty when you buy this new leaf spring. Pro Comp will fix any broken or damaged parts and offer a lifetime warranty for as long as you own your vehicle against defects for all of products. Very good quality , nice product.